This medicine shield has a bit of everything. 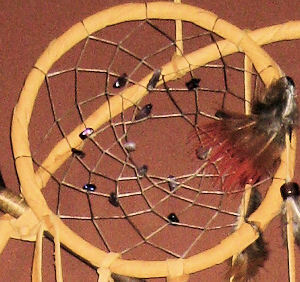 The center is a medicine wheel made with real buffalo bone beads. 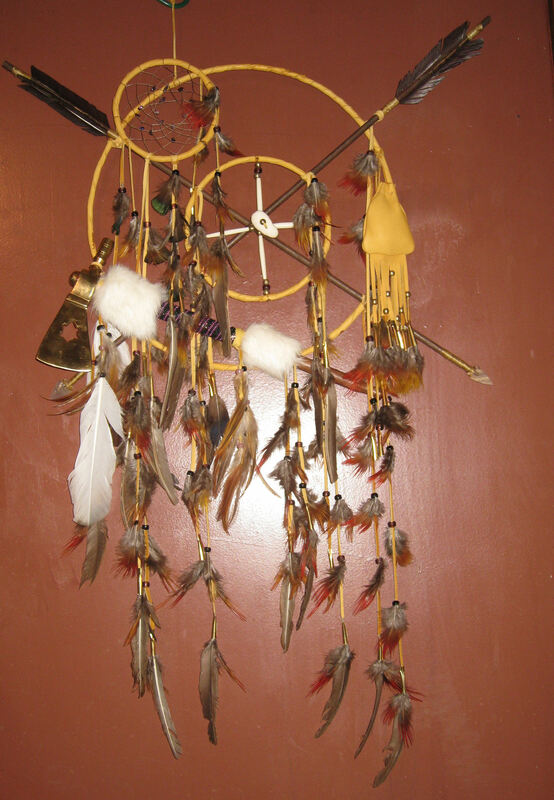 It also has a pipe tomahawk or peace pipe with glass seed beadwork, a dreamcatcher with genuine amethyst stones (shown, or choose a different stone from the dropdown menu below), two authentic hand made arrows, and a genuine deerskin medicine bag. The center of the medicine wheel has a deer antler medallion. This medicine shield has long fringes decorated with dozens of glass crow beads and brass cones and is finished off with golden plheasant feathers. The large outer hoop is approximately 15 inches in diameter, overall length is about 32 inches. Handcrafted in the USA. Crossed arrows mean friendship. The medicine wheel represents the path of life, the four directions, the four colors, and the eternal fire. The circle represents unity. It is said a dream catcher will filter your dreams, capturing the bad ones and the good ones will float down the feathers to the dreamer. Then the morning sun will melt the bad dreams away. The pictures shown are representative. Because this is a one-of-a-kind hand crafted item, each will vary slightly from the one pictured. The tomahawk blade and feathers used may vary. 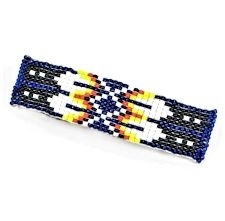 If you have a preference for bead colors, specify your choices in the comment field of your order form. Allow up to two weeks for completion of this item, plus shipping time. This item can be shipped internationally. If additional shipping charges outside the continental US apply, we will contact you with the amount after your order is placed.